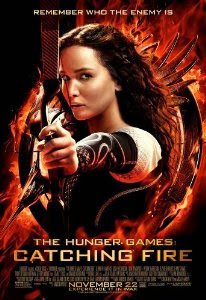 LOVED the movie of Catching Fire! It had been awhile since I'd read the book, but this was one movie where I actually felt like it followed the story relatively closely (and didn't leave HUGE chunks out). I also just really enjoyed the movie in general and felt like even someone who hadn't read the books could appreciate it!